All of the convenience you'd expect... and more. Each system is complex and has its own lingo. 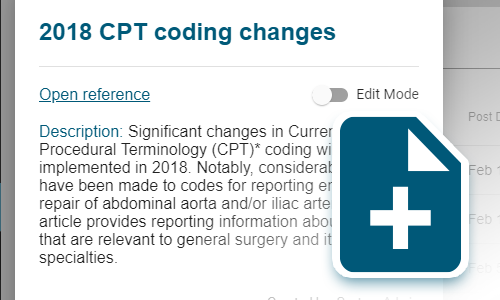 Administrators at your system can easily add custom notes to each CPT code to remind users system-wide of important updates or policies related to each procedure. 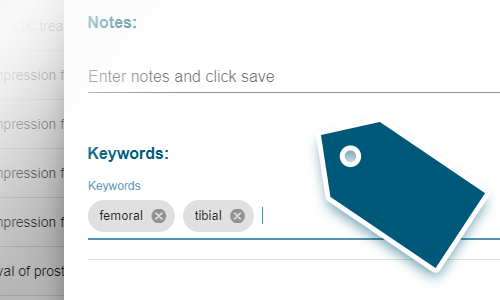 Notes saved to a code will be visible to any user, at any level in your healthcare organization. When your entire process for searching codes is online, avoiding denials is possible. This along with long descriptions is what makes I/O Surg truly one of a kind. 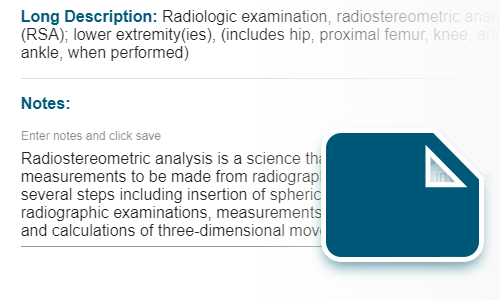 Short descriptions offer little insight into which CPT code should be selected. 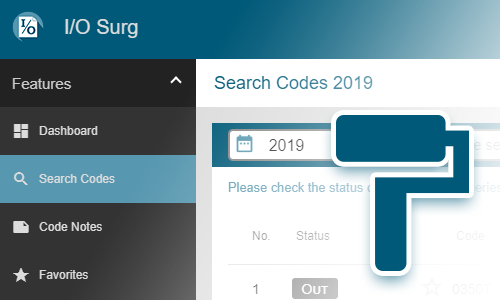 Long descriptions give your staff a deeper understanding on the subtle differences and intricacies between codes – ensuring that they select the right code and status, every time. 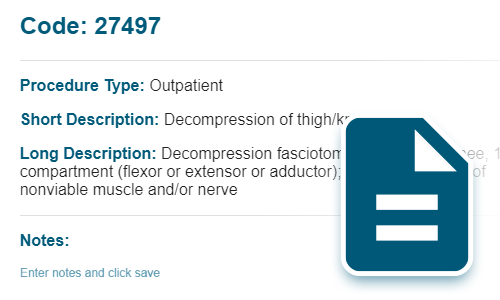 No more headaches ensuring your team is up-to-date with the latest and greatest reference book and excel sheet for in-patient only lists. 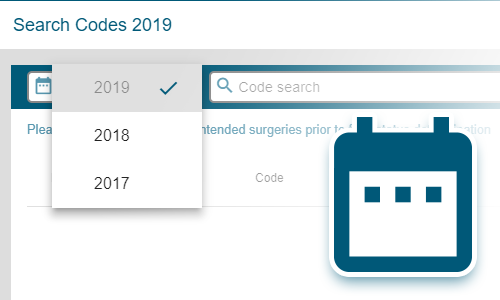 Our team handles every release, even allowing for cross year reference between codes. Each New Year we update the software – and it’s live at your system – everywhere - in seconds! 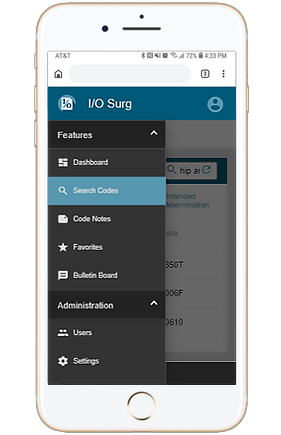 A sleek, easy to use search ensures anyone with-in your system can use I/O Surg within seconds. No need for extensive training or any learning curve - starts saving your system millions in denials from the second the software goes live. Sending out emails with important coding updates is a thing of the past. No more desperate phones calls to different departments making sure everyone is aware of new regulations. A friendly message is sent out via the bulletin board within I/O Surg helping your team communicate more efficiently. ​All hosted on Microsoft’s Azure, we provide our customers the safety and security they need. 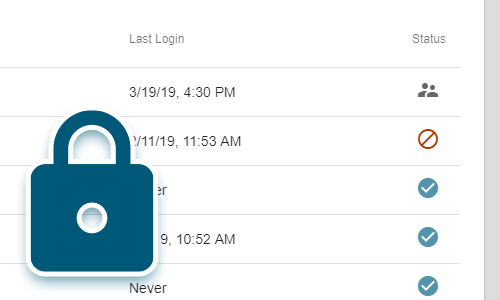 With SSL encryption and high-class server infrastructure, we can ensure our software is kept safe and secure. LEARN MORE. Watch our 10 minute [prerecorded] on-demand webinar to see I/O Surg in action and hear about a unique trial we are offering.